This book has some simple but valuable ideas on how to change your life. The message is simple, probably similar to what you’ve read or heard elsewhere but still valuable. Another book in this genre is Daily Rituals, one of Tim Ferriss’ favorite books. 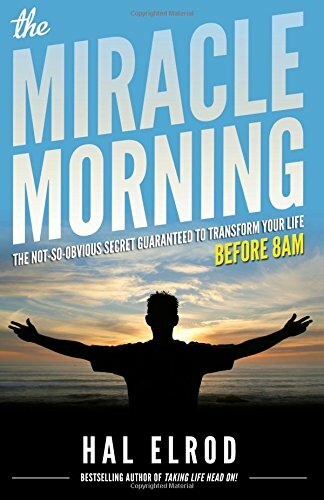 The author’s message is that if you want to transform your life, you should six things every morning. Successful people from Tony Robbins to Oprah tend to do these. Repeat positive affirmations for 5 minutes. Visualize the future for 5 minutes. Exercise lightly for 20 minutes. Watch your self-talk closely. Thoughts become actions. Actions become habits. Habits become destiny. Focus on living a life of purpose and passion. Drink a full glass of water immediately after waking. It’s much better to re-read great books than to read new mediocre books. Don’t forget to review past years in your journal. Predictive analytics is about what the mass media calls data science or big data. It seems that practitioners prefer the more precise term, predictive analytics, which is what is sounds like, using analytics to predict behavior. 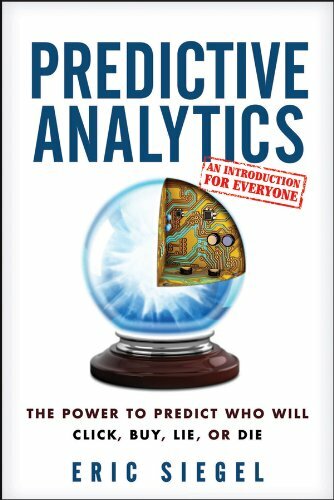 The book is a quick, non-technical introduction to data analytics, explaining basic concepts and definitions, and then sharing real-world examples of predictive analytics. Predictive models do not imply causation but for predictive analytics, causation is not required. The analysis is only as good as the data (garbage in, garbage out). Only a controlled experiment (control group vs experiment group) can show causality. Visualizing the data can help the analyst identify patterns to guide the model building. Decision tree is by far the most popular methodology for building a predictive model. The data preparation phase of building the predictive model is tedious but necessary. Predictive multiplier is a simple metric used to compare predictive models. Overlearning is when you mistake noise for information and make the model too complex and less useful. Typically, 80% of the data is used to train the model. 20% is set aside to test the model afterwards. Kaggle is a startup that uses crowdsourcing and competitions to build predictive data models, much like Netflix’s $1m competition. An ensemble model is a combination of multiple predictive models. Ensemble models are consistently superior than single model. The most popular open source software for analytics is R.
An uplift model is a predictive model that predicts the influence on an individual’s behavior from one treatment vs another. It is the analog to a controlled experiment when one is not possible. Uplift models were heavily used by the Obama campaign. 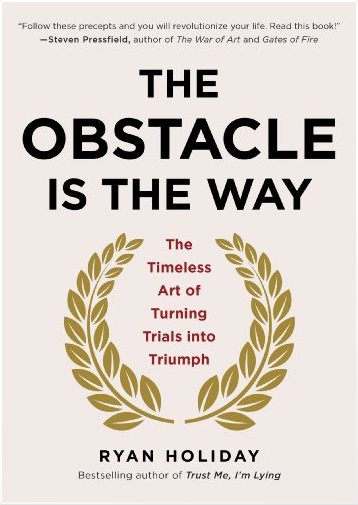 The Obstacle is the Way is a readable introduction to Stoicism for busy people. It’s a quick, good read that can be summarized by the maxim “what doesn’t kill you makes you stronger.” The remainder of the book is additional tips and examples of a common pattern — that many highly successful people got there by learning how to overcome adversity early in life. Ryan Holiday is a precocious and successful marketer and writer who’s worked with Tucker Max, Robert Greene, and Tim Ferriss. Below are notes from the book. Self-made men always have the ability to turn obstacles into stepping stones towards triumph. Bad companies are destroyed by crisis. Great companies are improved by them. We want to model Nadine West after Zappos. Happy customers = Happy company. Which means, we need to study the science and psychology of happiness. 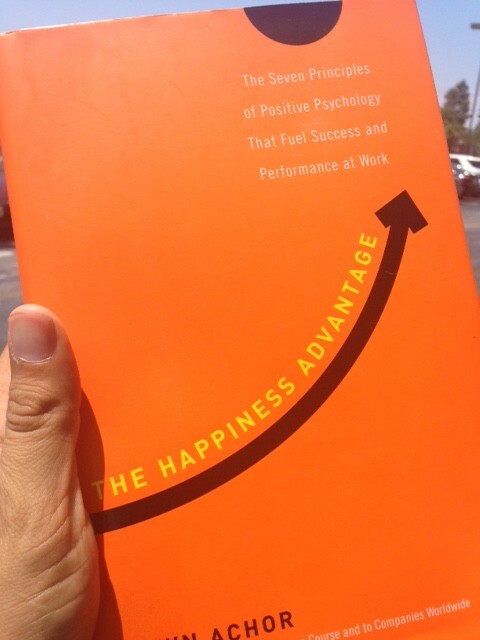 Below are my notes from Shawn Achor’s book The Happiness Advantage. The science says that we become more successful when we are happier and more positive. Not the other way around. Happiness and positive emotions flood our brains with dopamine and serotonin, which enables the brain to learn better and operate more creatively. Regular meditation increases happiness by rewiring the brain. Committing conscious acts of kindness increases happiness. Your physical environment (air, light, TV, pictures) at home and work affects your happiness. Exercise releases endorphins, reduces stress, decreases depression, and increases happiness. Spending money on experiences and on other people (not on stuff) increases happiness. Recognition and praise can be more motivating to employees than money. According to researcher Losada, 2.9013 is the break-even ratio between positive interactions and negative interactions at work. Always stay above this, ideally around 6:1 positive to negative. A positive, optimistic attitude is the most powerful predictor of job performance. A calling >> a career >> a job. Train your brain to be happy by practicing gratitude, such as a gratitude journal. Train your brain for resiliency by reframing setbacks as learning opportunities. To guard against irrational, emotional thinking, separate your stresses into 1) have control over and 2) do NOT have control over. Thoughts => action => habits => character => destiny. Therefore, engineer the adoption of a habit so you don’t have to rely on willpower. For example, sleep in your gym clothes to work out first thing in the morning. Social relationships are the single biggest driver of happiness. The manager/employee relationship is the strongest predictor of employee productivity and retention. Positive emotions are contagious. So be a good leader and share your happiness with the world. Weekends are for good books, podcasts, and blogs. 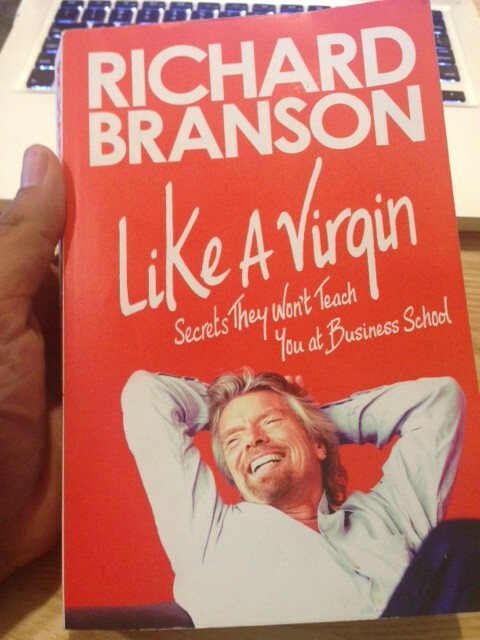 Richard Branson is my favorite entrepreneur. According to Branson, success in business is best measured by whether or not you have created something of which you can be truly proud. Below are my notes from Like a Virgin: Secrets They Won’t Teach You at Business School. I would rather be a nice guy working with great people having fun with a small successful business than a miserable guy heading up a hugely profitable multinational mega-corp. But that’s your call. It’s counterproductive to be ruthless. We would add an F to the four Ps (people, product, price, promotion). Fun! Don’t take yourself and your business so seriously. Success in business has nothing to do with profits. Profits are necessary but that’s all. Celebrity doesn’t matter either. Success in business is best measured by whether or not you have created something of which you can be truly proud. I’ve always loved learning about new things, trying new ventures, and meeting new people. I pursue only those things about which I can be passionate. Money has enabled me to start up and support a number of philanthropic causes. When you’re wrong, admit it, fix it, and move on. We have avoided having a glass and concrete world headquarters with the bosses in upper-level corner offices. I have only ever worked from three places: houseboat, home, and hammock. In most businesses, your people are your product. The secret to success is people, people, people. Finding them, managing them, inspiring them and then holding on to them will determine the success of your company. I am constantly out and about meeting people. I’ve always believed that small is beautiful. Being big means being cumbersome. If you are big, always try to act small. Be wary of over-reliance on impersonal digital communication. One-on-one meetings and old-fashioned brainstorming are vital to your success. The customer is not always right. Treat your customers well, but treat your employees even better. Think deeply about what your brand is and make sure your company culture aligns with it. Big companies too often treat customers like an annoyance. “Your business is very important to us. Please continue to hold.” Ignore them and copy what hotels do instead. Hire great people and then let them do their jobs. Listen more than you talk and ask lots of questions. Make face-to-face employee contact part of everyday life in your office. Management by walking around (MBWA). Try to ensure that your company grows at a comfortable pace and involve your employees in its evolution. Convincing investors is a hard job. Never forget that overcoming adversity is the mark of a true entrepreneur. Economics downturns are great for lean companies. It can be superhumanly difficult to change a company’s existing culture. Your employees should never feel like hired hands, but fellow entrepreneurs. Executives need to periodically dig in and get their hands dirty. Stay in touch with your customers and don’t let employees shield you from what’s really going on. Take care of your employees. Encourage them to maintain a good work-life balance. Let them work from home. Continue training and coaching employees. I always carry a notebook with me. Hand out your email address and phone number to employees. Earn your customers’ trust and their loyalty will follow. Consider job-sharing, longer holidays, sabbaticals, work from home. Good customer service begins at the top. Catch people doing something right and make an example out of them. Starting a business takes huge amounts of hard work and time so you had better enjoy doing it. You’ve got to do something radically different. It’s impossible to start a business without taking risks. Remember, the brave may not live forever, but the cautious do not live at all. Prepare for the worst to protect your downside, but then go do it. In investment pitches, explain how you plan to tackle the inevitable technological changes and market shifts that are heading your way. Call or email your own customer service line and try to see your business from the eyes of your customer. My approach to financing a startup: friends/family, bank loans, then outside investors. I avoided outside investors early on so that I could give equity to employees and retain control of the company direction.